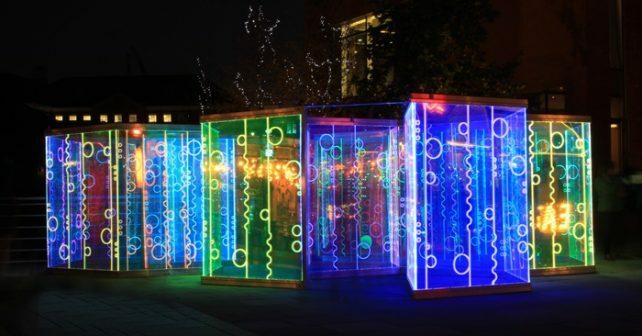 For the fifth year running, the fortnight-long FREE Winter Lights at Canary Wharf will feature more than 20 fluorescent sculptures guaranteed to turn heads. 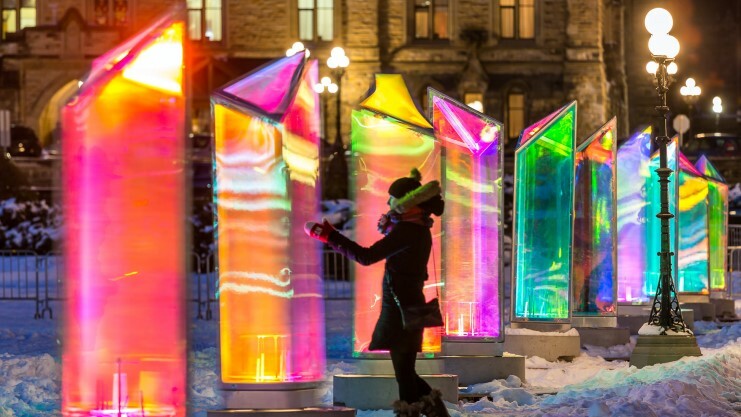 Highlights at this year’s display include Raw Design’s wondrous modern ice palace Prismatica (above) and the multi-coloured Submergence by Squidsoup (below). Watch out for Ben Busche’s breathtaking Heofun Light Maze (top) too. Fun fact; the word Heofon is an old English name for the sky. If you get peckish there’ll be Winter Lights Bites street food on offer and visitors can tuck in to Middle Eastern wraps from Nazari, roasted meats served up by Pulled or pizzas from Rolling Dough.